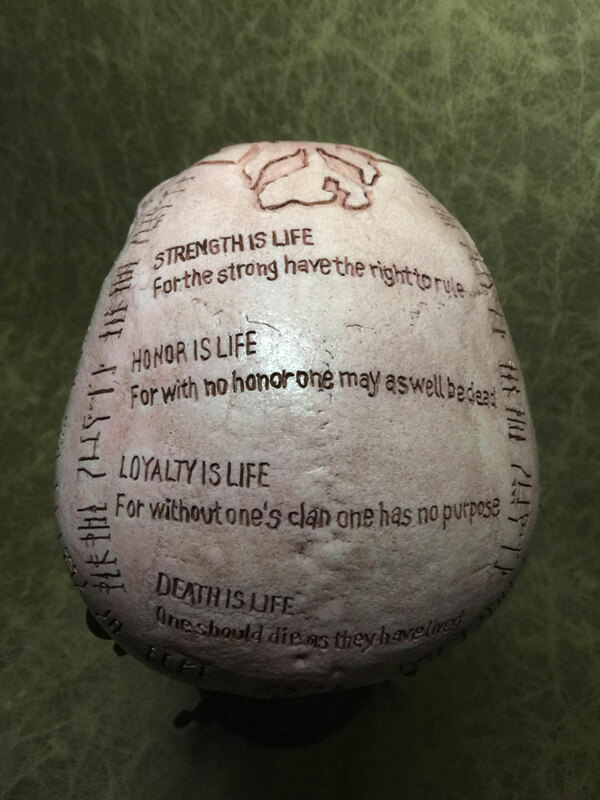 Hand-Carved Mandalorian Oath Skull Giveaway Winner: Congratulations to Tony E. of Gilbert, AZ, winner of the hand-carved Mandalorian Oath Skull. Thanks to all entrants, and be sure to check the Dude homepage or Dude Giveaways section for your chance to enter our latest prize drawing. This giveaway concluded on October 7, 2018. Have a bounty-ful, bone-thrilling, and Fett-ive Halloween with a Mandalorian relic by your side Click here and enter to win a Mandalorian Oath Skull hand-carved by Zane Wylie of Zane Wylie Skulls! 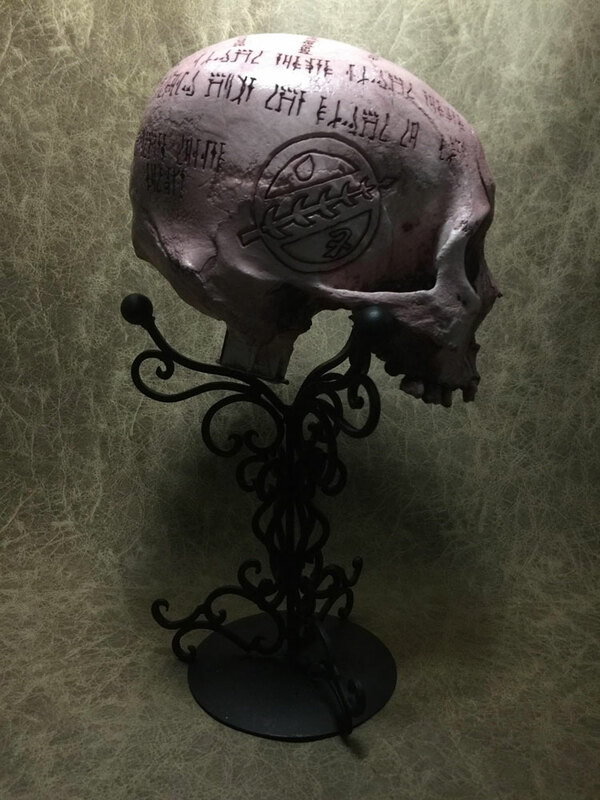 Giveaway Bonus: Wylie is giving Dude readers who sign up for his Replica & Real Human Skull Art mailing list a chance to win a second Mandalorian Oath Skull. Click here for your second entry. 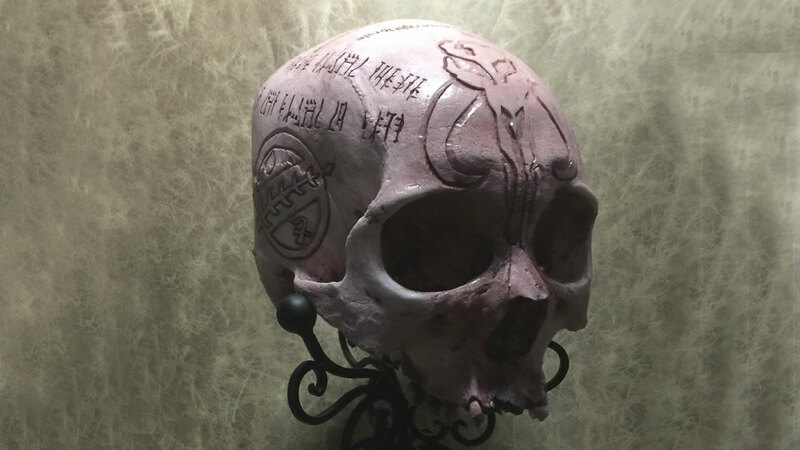 This skull is one of Zane Wylie's replica pieces, fashioned after a real human skull and made of resin. In addition to the iconic tusked Mandalorian skull symbol carved into the human skull's forehead, Wylie includes the Mandalorian crest on one side and the Canons of Honor across the top. Check out more images and read all about the skull here. 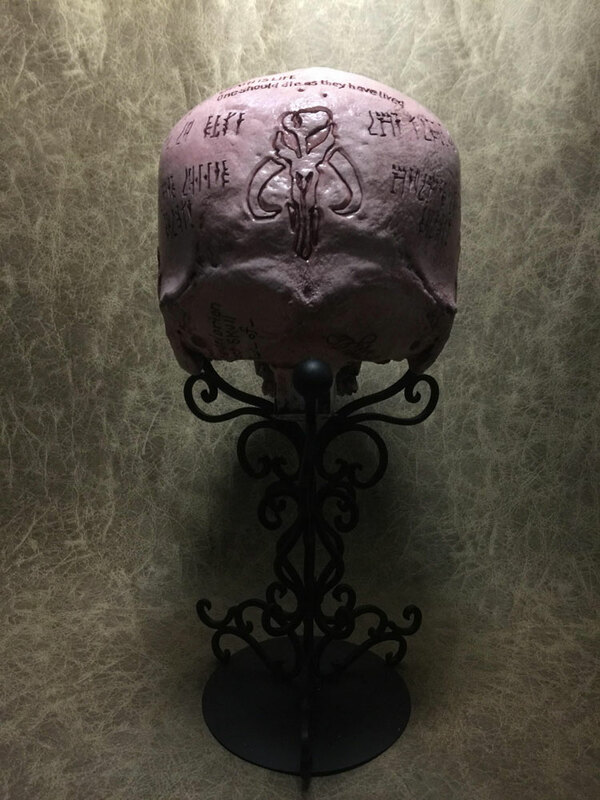 To enter for a second chance to win one of the Mandalorian Oath Skulls, click here and sign up for Wylie's mailing list. To register for this Dude giveaway, click here and fill out the Hand-Carved Mandalorian Oath Skull Giveaway entry form. Or, if you're already a member of DudeIWantThat.com, when the magic entry form button appears, just click it to enter. Giveaway prize includes 1 x hand-carved Mandalorian Oath Skull, a replica of a real human skull. Wylie's online shop of curiosities contains a host of both replica and real human skulls carved with a range of patterns and themes. In addition to the Mandalorian Oath Skull, on sale for $287 at printing here, you can explore a full range of skulls with Celtic, Masonic, gothic, pop culture, and Goonies! carvings here.